Black has never gone out of fashion in home décor. With some decorating finesse, a black theme can be an exciting choice. In the bath, a black and white look is often used for a clean effect, and our black basins can be the perfect accent. 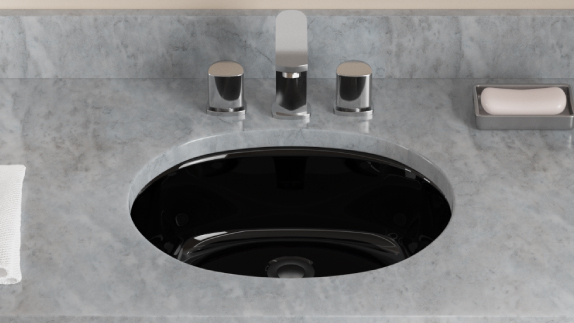 The MR Direct black bathroom sinks are available in numerous materials and shapes. 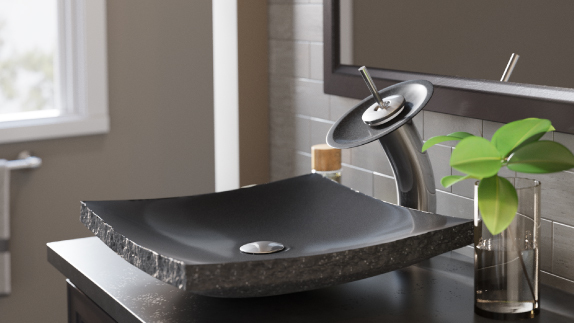 There are black bathroom porcelain sinks, black bathroom stone sinks (both black granite sinks and black marble sinks), and black bathroom glass sinks. 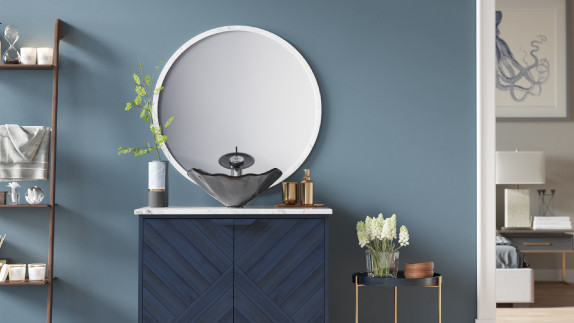 Newer models are offered in black bathroom hand-thrown ceramic sinks. 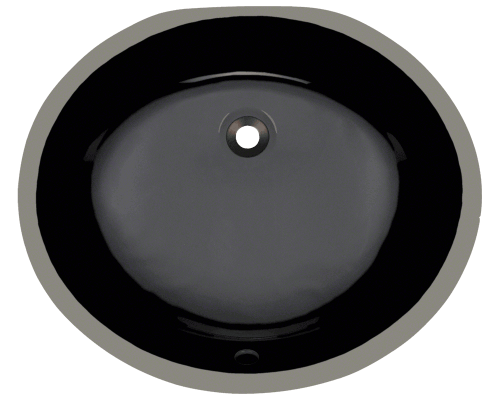 MR Direct black porcelain sinks are only available as black bathroom undermount sinks. 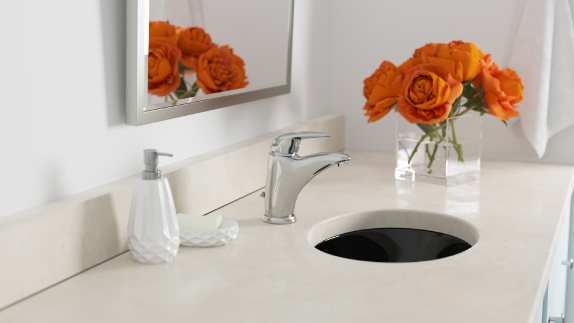 No black bathroom topmount sinks are offered at this time. 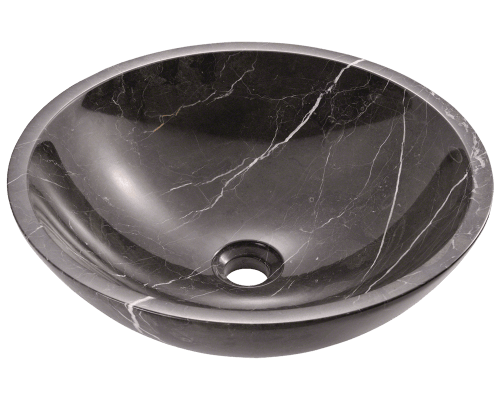 There are several black bathroom vessel sinks available in granite and marble. 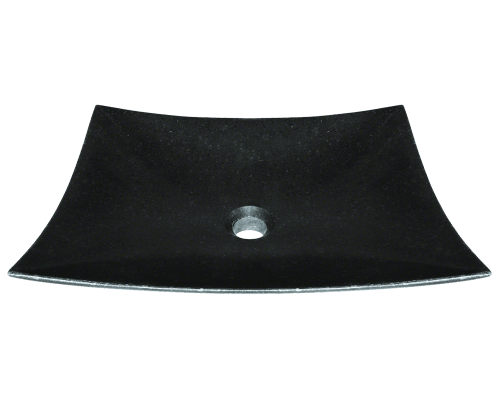 Likewise there are solid and frosted black glass sinks, and black hand-thrown ceramic sink designs.